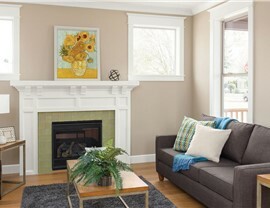 We offer a vast selection of customizable window styles to improve the performance, efficiency, and style of your home. A+ rated with thousands of satisfied local customers. Family-owned-and-operated with a commitment to quality. 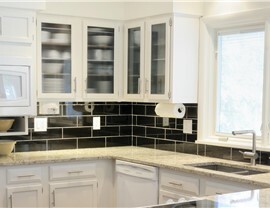 Recognized in the “Top 100” from Remodeling Magazine. 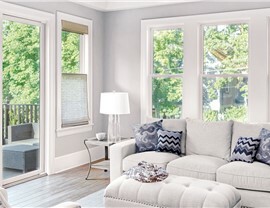 When it comes to home windows in Oklahoma or Arkansas, durability and efficiency are key factors in choosing the ideal products for your home. At Community Builders, we have been serving homeowners throughout the area since 1982 with innovative window replacements that are engineered to handle the region’s extreme climate—while also offering incredible curb appeal. You can rely on our team to make your home improvement experience as seamless and satisfactory as possible. To find out how, simply give us a call today to connect with one of our expert representatives or submit our request form for free project pricing! It’s important to keep a watchful eye on the performance and physical state of your windows. Otherwise, you risk driving up your home’s energy costs and creating a generally uncomfortable interior space prone to drafts and moisture permeation. Luckily, there are numerous telltale signs that will indicate when you’re ready for a window upgrade. Feeling drafts near your windows. Chipping, deterioration, or warping of your window frames. Increased noise pollution from the outside. Faded carpeting or furniture near your windows, suggesting poor UV reflection capabilities. Difficulty opening and closing your units. Increased energy costs, suggesting poor interior insulation. Visible water damage or rot. Difficulty finding replacement parts for your current units, suggesting a product discontinuation due to obsolescence. What makes Polaris Windows better? Polaris Windows feature Intercept® Warm-Edge Technology, which reduce the accrual of in-unit condensation while maximizing the insulating capacity of the entire unit. The Intercept® Stainless Steel Spacer, nestled between the inward and outward-facing panes, creates a barrier that slows the migration of condensed moisture within the unit, reducing overall condensation. By incorporating this unassuming but crucial component, Polaris Windows are less susceptible to pane damage, staining, or fogging. Also, because the spacer system keeps the edges of the window warmer, Polaris Windows offer excellent energy efficiency and retention. For more than three decades, Community Builders has been the marquee provider of stylish, long-lasting, and value-building home improvements for homeowners throughout Arkansas and Oklahoma. What truly distinguishes us from our competitors is our vast offering of personalized renovation services that touch virtually every corner of the home, from beautiful bathroom transformations driven by our high-quality Luxury Bath products to energy efficient exterior solutions like our replacement windows and Cedar Ridge composite siding. Learn More About the Windows We Offer in Oklahoma and Arkansas Today! Investing in replacement windows for your Arkansas or Oklahoma home is one of the best ways to protect your property for the long run, so why wait another day to get the high-quality, customized solutions that you deserve? Give the team at Community Builders a call to learn more about the impressive selection of products and services that we offer or fill out our online form now to request your free price quote and in-home consultation.